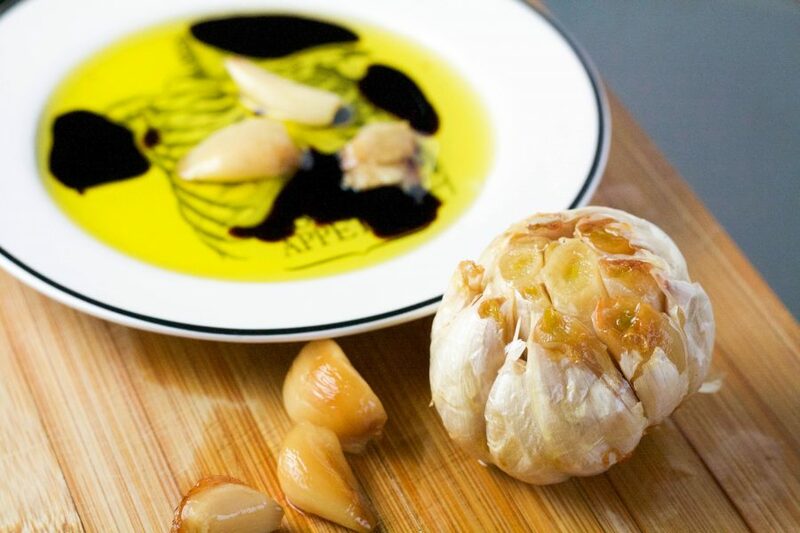 Have you experienced the magic of roasted garlic? There is pretty much nothing better than taking a slice of a crusty baguette, drowning it in olive oil and balsamic vinegar and mashing several cloves of roasted garlic right on top. Oh my god. 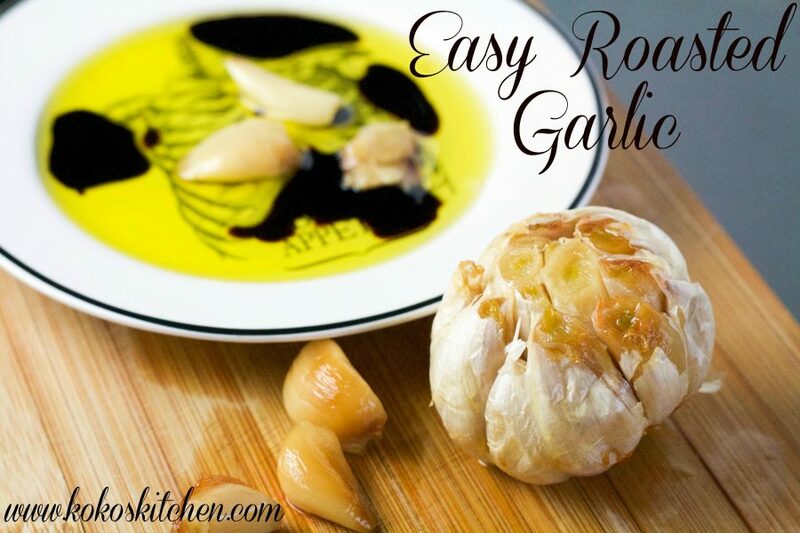 If you’re not a huge garlic lover than definitely give roasted garlic a try. It has a way milder flavour than raw garlic. It’s a mild and gentle, creamy, caramelized garlic flavour that doesn’t have the same raw ‘sting’ that garlic can have. 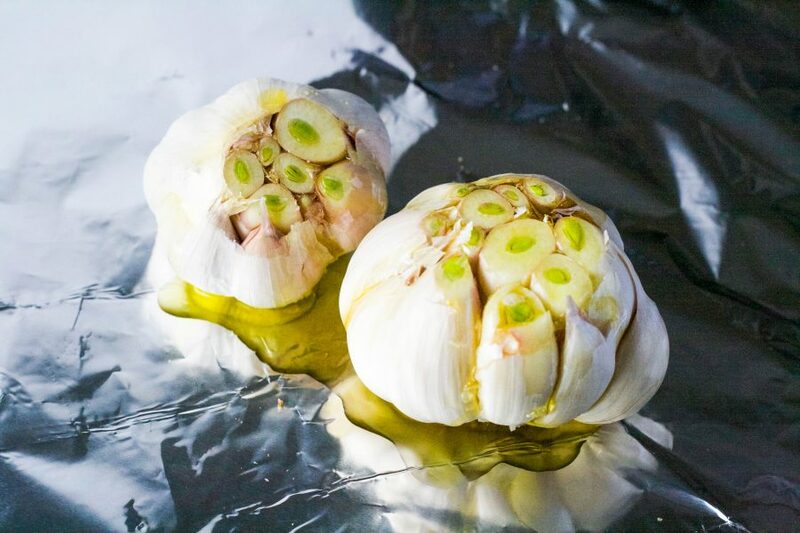 And if you are a huge garlic lover…than you’re going to love roasting it! 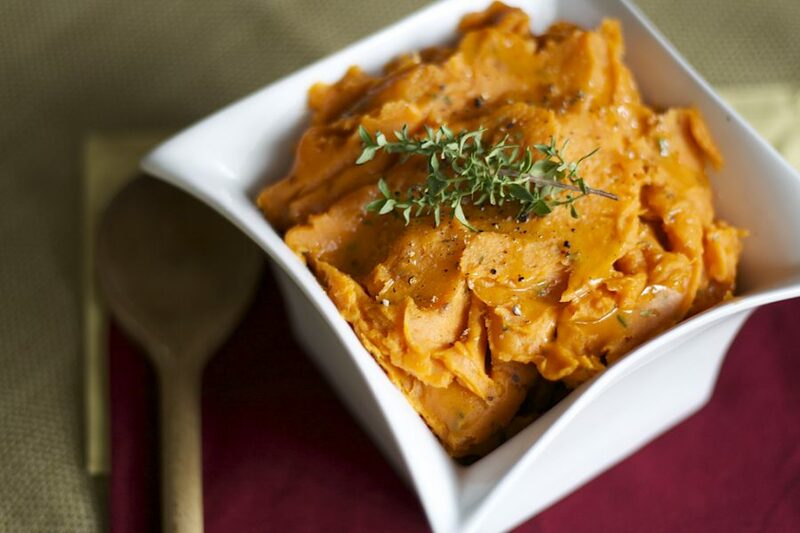 It takes no effort at all – just two ingredients and about 1 minute of prep time and then just let it do it’s thing for half an hour in the oven. Couldn’t be easier! What are you all up to this weekend!? I’m going to get a little redneck and go see Monster Jam in Vancouver. Bring on the earplugs and overpriced beer! Woot woot! 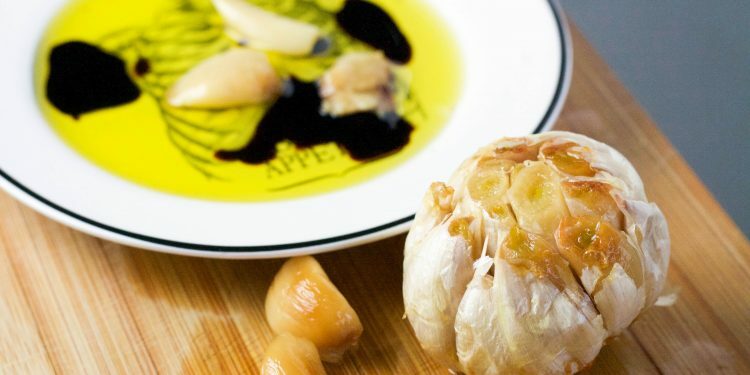 A quick, 2-ingredient recipe for the yummiest roasted garlic. 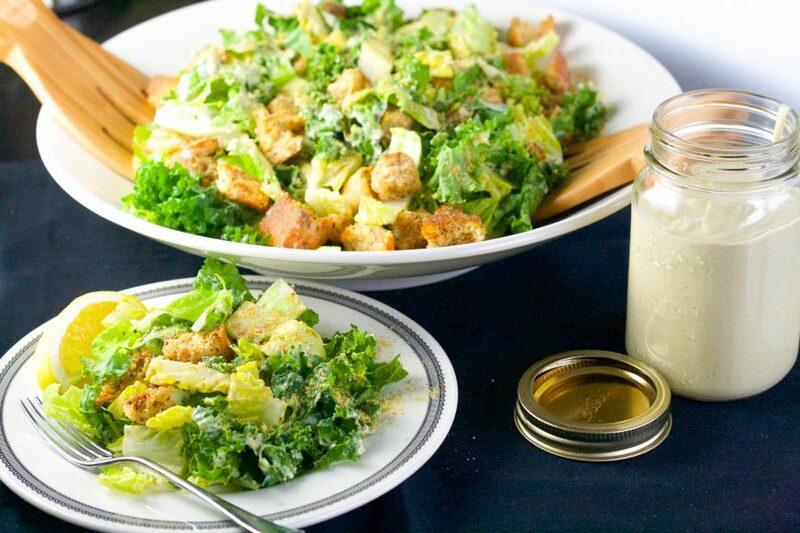 Use it on a toasty baguette, in a salad dressing or pasta sauce! Get two heads of garlic (because one just isn't enough!) and slice the top clean off, exposing the tops of all the garlic cloves. 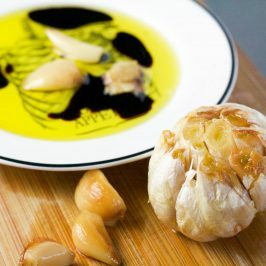 Place the heads of garlic on a sheet of tinfoil and gently drizzle with olive oil, making sure to get a little on each cloves. 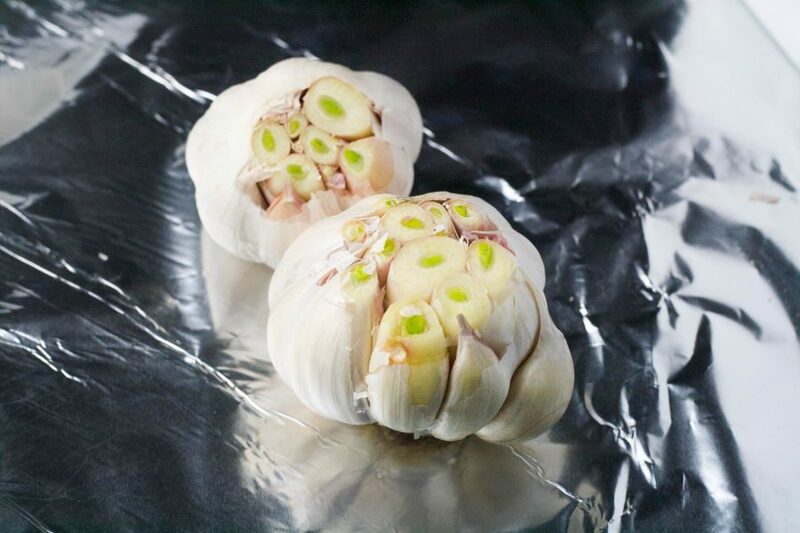 Wrap tightly and place in the oven, making sure the cut side of the garlic heads face upwards. Roast for 30-35 minutes until garlic is soft and a light caramel colour. Can’t make it tonight? Pin it for later!